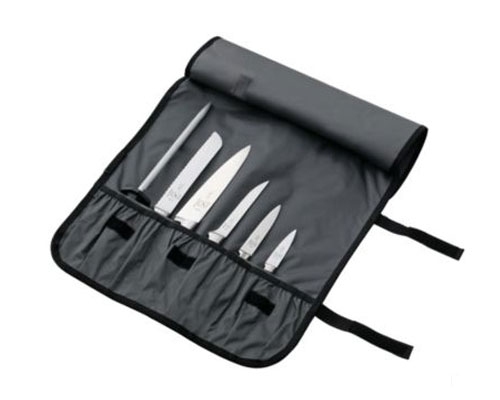 The Mercer 7 Slot Knife Roll is perfect for those who don't have a lot of knives or tools. 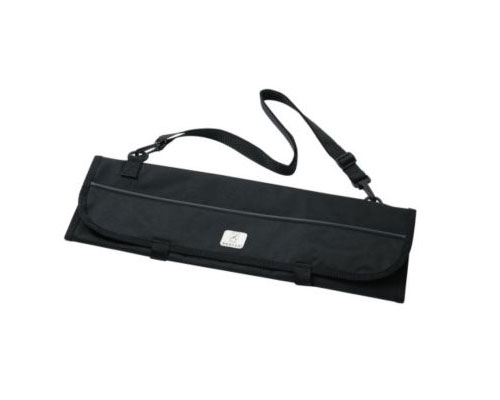 Instead of a zipper, like many larger knife bags, this Mercer bag closes with Velcro straps. 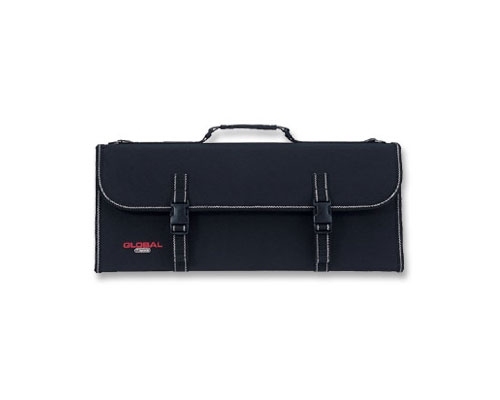 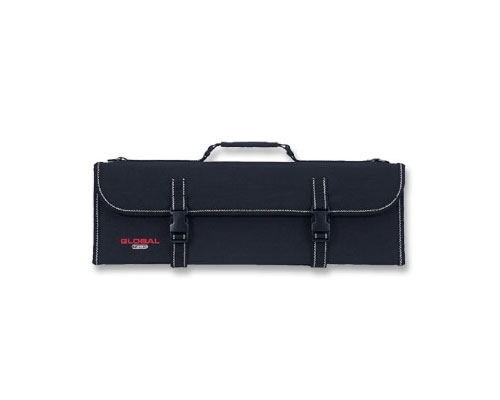 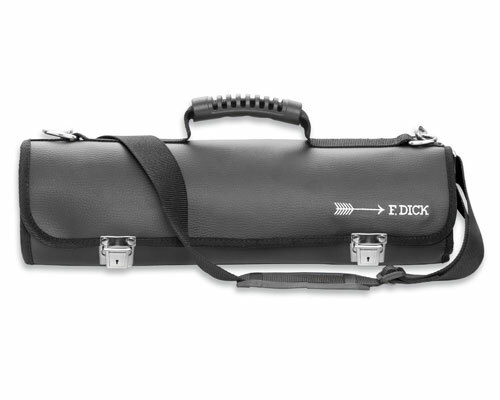 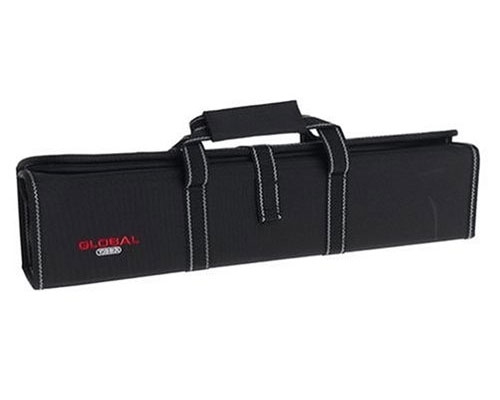 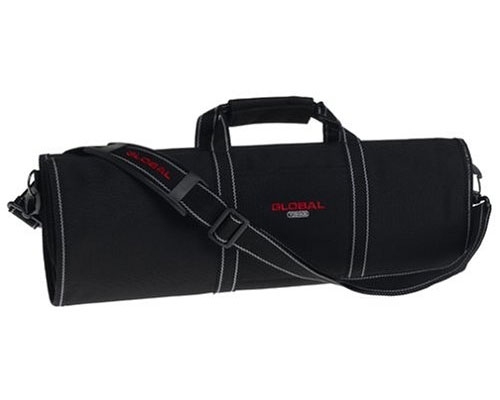 Made of heavy duty nylon, and comes with an adjustable shoulder strap.